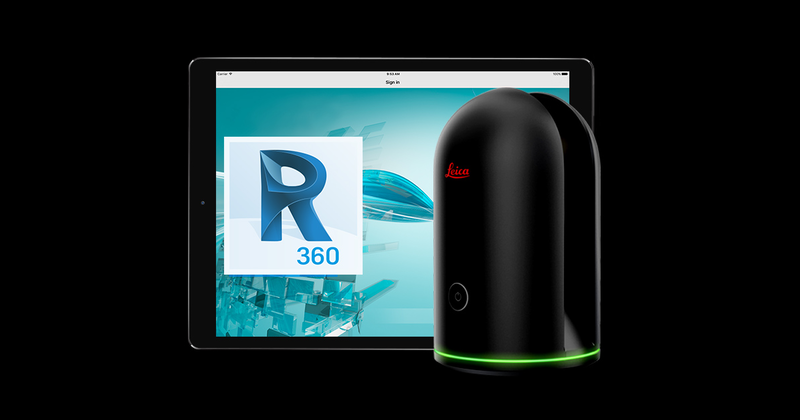 Today at Autodesk University (AU2016), Leica Geosystems and Autodesk introduced the BLK360 — a Reality Capture device that combines a 360° Laser Scanner (with a range of up to 60 meters, with millimeter precision). And a 3-camera panoramic imaging system (that delivers a 150 megapixel spherical HDR image)… And an infrared camera…… And a thermal camera. All this comes in a battery-powered (50+ captures on one charge), black aluminum device that’s light (2.2 lbs / 1 kg) and small enough to fit in your hand, or in your bag. It’s also fast, capturing a nicely-marketable 360,000 points per second. That means it can capture an average room in less than 3 minutes. It can also be used outdoors. 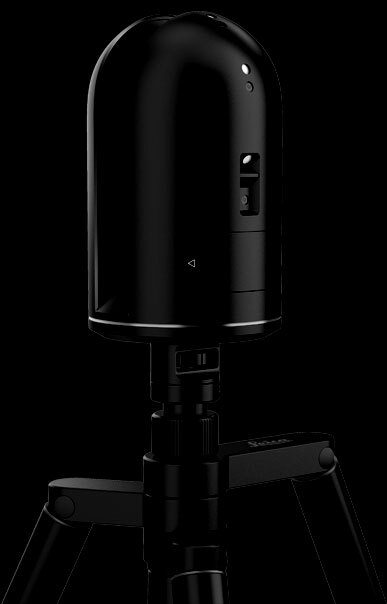 While most 3D Laser Scanners quickly cost upwards of $30,000 the BLK360 will cost $15,990 when its comes out in Spring 2017. Included in this price is a one-year subscription to Autodesk ReCap 360 Pro (not to be confused with the non-Pro version of which I reviewed the Photogrammetry capabilities). It will be sold exclusively online. Known for their high-quality photo cameras of which the designs can be called iconic, Leica naturally made this device beautiful looking. One could say it’s Apple-ish with it’s aluminum body and only a single button that proves the effort to make Reality Capture effortless for everyone. Not coincidentally then, Autodesk is developing an iOS version of ReCap 360 Pro — exclusively for the iPad Pro. 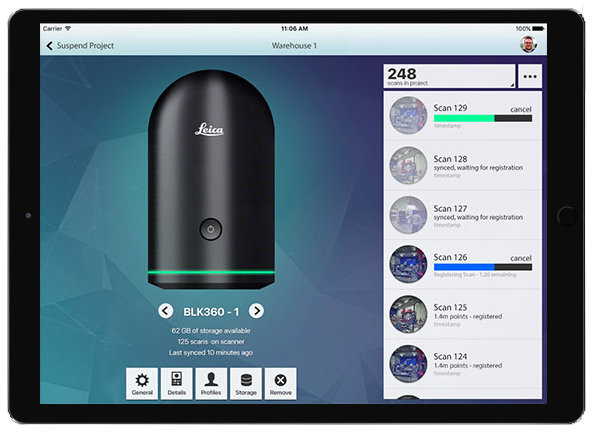 This application will let users review and register the reality captures from the BLK360, take measurements, make annotations and sync everything with Autodesk’s A360 cloud service. Because of this is also easier than ever to collaborate on scan projects with remote stakeholders. 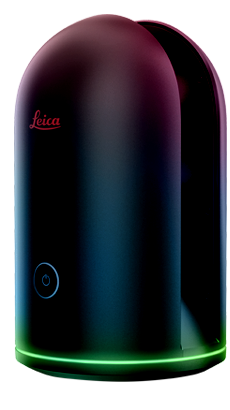 Altogether, this combination of a portable 3D scanner (Leica and Autodesk exclusively speak of a Reality Capture Device) and an iPad app sounds like a revolutionary solution. To me, it dusts off laser scanning technology by fusing it with the increasingly popular 360° photography format. And as a creative professional, I must admit I love great product design and I’ll just say that this is the best looking 3D scanner to date. Just look at it on a tripod. I’m sure Darth Vader wants one — and he probably has $16k to spare. Here you can see the array of cameras and LED flashes. To finish off this post, here’s the promo video. The full length introduction presentation can be found here.